22.3 kg. 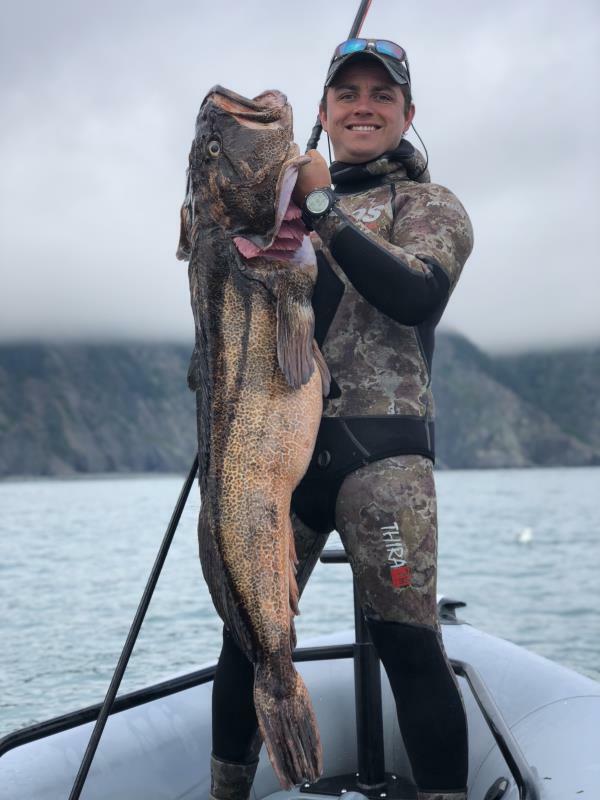 , 49.2 lbs. Pulled up to Montegue Island about 30 minutes before slack tide and anchored up on top of the pinnacle. After about 5 dives I met the ling face to face. I took aim and put my show stopper sliptip directly between his eyes. After a short fight I pulled him to the surface with my float line and finished him with my knife.